Gangohi not doing anything without asking the Prophet (Sallallaahu Alaihi Wasallam) ! 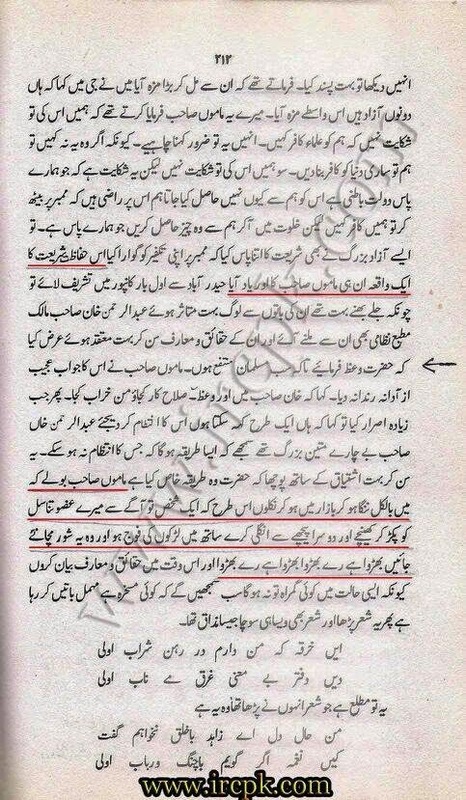 it is written: “Once Hazrat Maulana Ganghoi (rah) was very enthusiastic and there was a discussion on the topic of Tasawwur e Shaykh (imagining the face of his Shaykh always when doing Zikr and others) and he asked: “Shall I mention it?” and they said yes, and he said again: “Shall I mention it?” and they said yes, and he said again: “Shall I mention it?” and they said yes. Then he said: “For three complete years, the face of Hazrat Imdad was remaining in my heart, and I did not do anything without asking him. “ Then he became enthusiastic again and said: “Shall I mention it?” and they said: yes surely mention it…: “For 12 years Hazrat (the Prophet (Sallallaahu Alaihi Wasallam)) remained in my heart and I did not do anything without asking him.” And after saying this he became more enthusiastic and said: “Shall I mention it?” and they said yes, but he remained silent, and people insisted and he said: “leave it” and tomorrow they insisted again and he said: “Brother, I remained then in the state of Ihsan”. Only if the sahaaba knew the secret recipee of ganghoi , they would have too been able to consult the prophet (Sallallaahu Alaihi Wasallam) in matters of war-fare and especially the khilafah.